Thank you for visiting Bellwether's website. After nearly a decade, the gallery closed in June 2009. This website remains as an archive of the shows and artists that the gallery was proud to have presented over the years. Many of the artists are now represented by other galleries and/or can be contacted directly for information about their work. Please email me at [email protected] and I will be happy to answer any questions about the gallery and its artists. 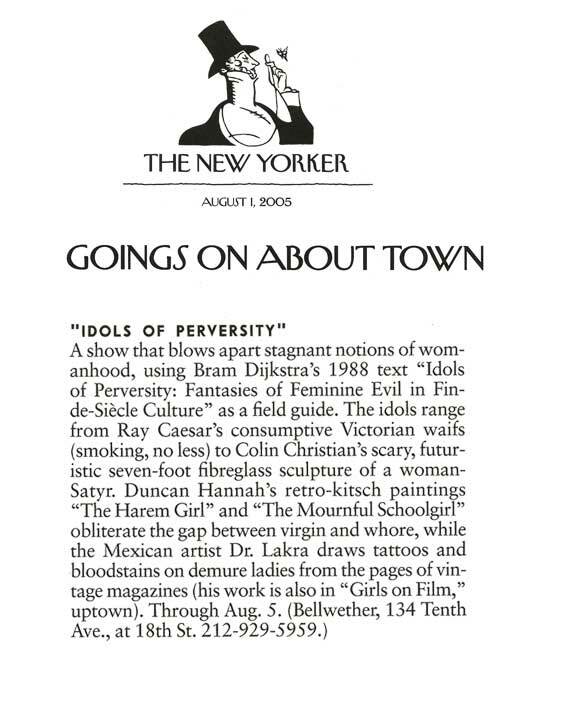 "Arts and Letters, Gallery Going, Idols of Perversity, Bellwether", David Cohen, The New York Sun 2005. "Don't Miss! 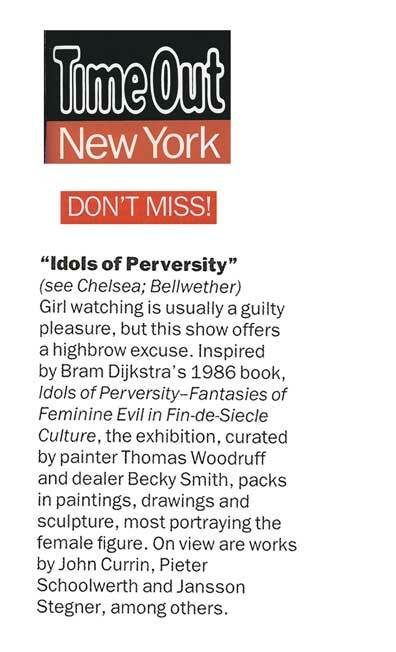 Idols of Perversity", Time Out New York 2005. 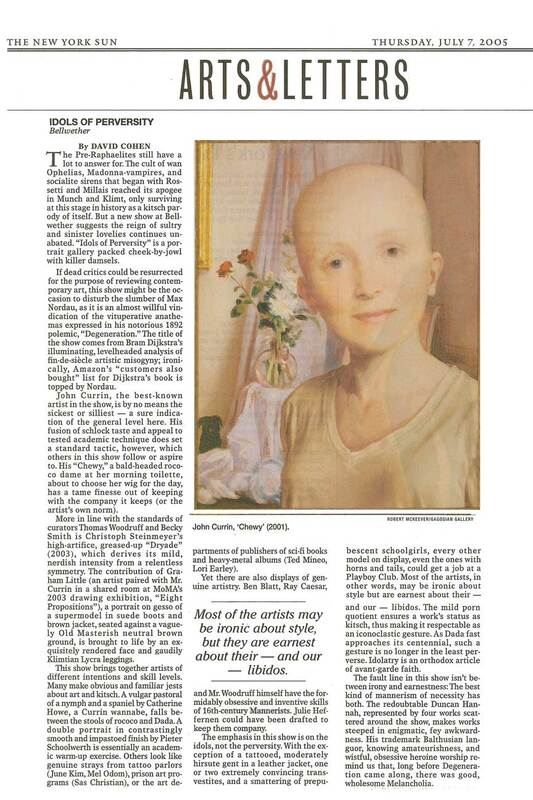 "Fanciful to Figurative to Wryly Inscrutable, The Best in Group Shows", Holland Cotter, The New York Times 2005. 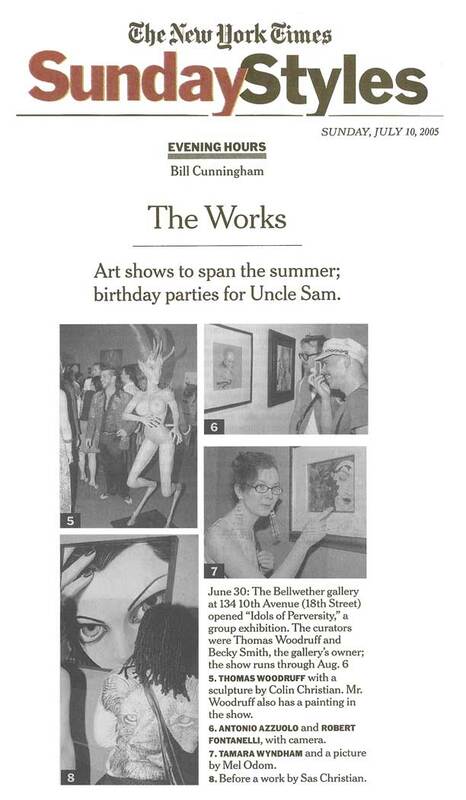 "Evening Hours, The Works: Art shows to span the summer", Bill Cunningham, The New York Times Sunday Styles 2005. 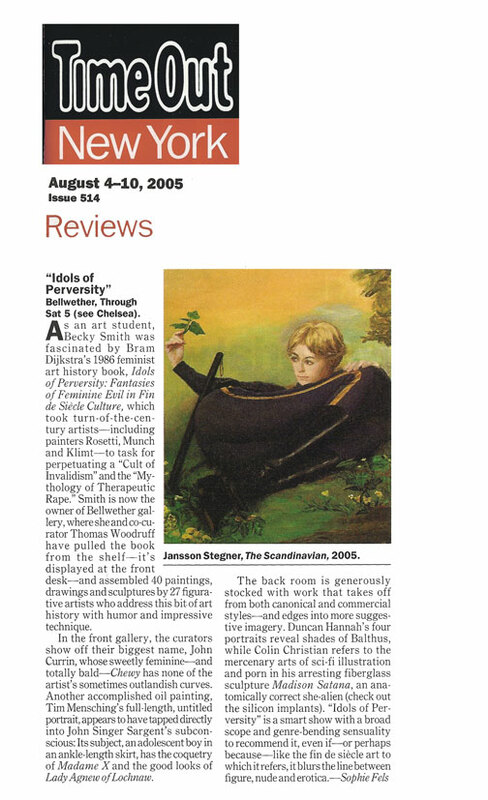 "Idols of Perversity", Sophie Fels, Time Out New York 2005. 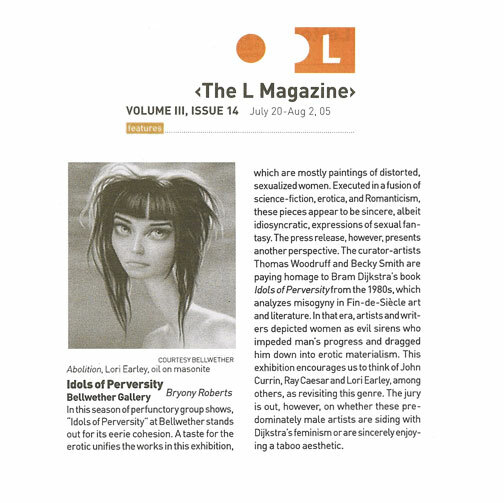 ""Art in the City: Marketing Perversity"", Bryony Roberts, The L Magazine 2005. "Goings On About Town", The New Yorker 2005.